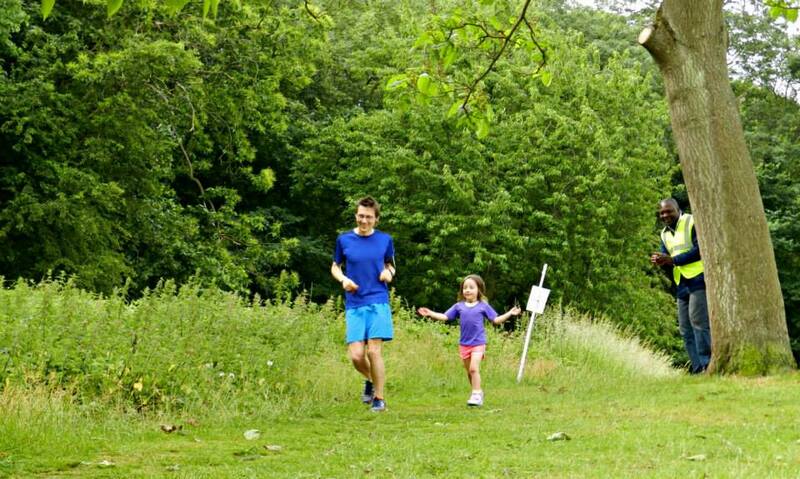 I was pleased when Matilda decided to run at junior parkrun this week because it fell on father's day, and I really couldn't think of a better way to spend it than by running around a beautiful park with my daughter (breakfast in bed would've come a close second). So after receiving a lovely card and story book, we hit the road. 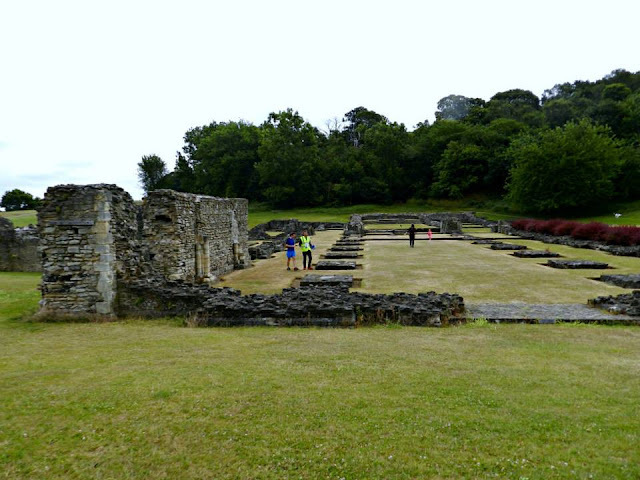 We headed over to Lesnes Abbey Woods junior parkrun (LAW) for a few reasons. Firstly, it has a 9am start and which means we were finished and able to carry on with the day earlier than some other venues and secondly because Richey (Dartford parkrun ED) was run directing and I thought it'd be cool to join him. 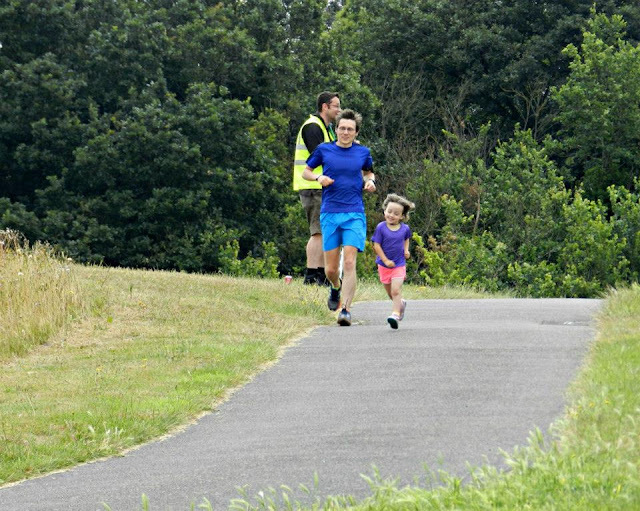 As it was father's day, we decided to dispense with the parent relay method of running and go for a straight father-daughter combo with mum on photographer duty. I find one of the downsides for the younger (or slower) runners at LAW is that the course is three laps. Matilda tends to cope better with out-and-back, single lap or two lap courses. After Richey's warm-up session and briefing, the run was started. The first lap is the easiest - she is very eager and heads off into the distance with the other children. I pootle along at the back of the pack with the tail runner, Jane, for a while but soon continue onwards and catch up with Matilda about three-quarters of the way around the lap. She's happy to see me and we continue to run until completing the lap. It starts well, but I can sense that she will be in need of a short walking break at some point during the lap. It's time to start the games. 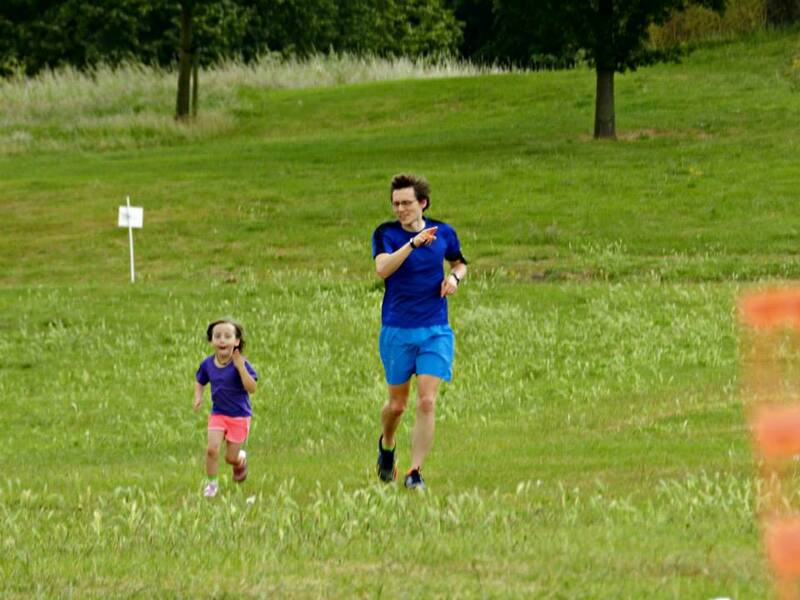 The first is the one where I go in front of her and pretend that I am the fastest runner and that nobody can overtake me, when Matilda overtakes I react in shock and try to catch up, but I can't. We eventually take that walking break at the half-way point. The break is broken when another young girl comes past and Matilda runs with her for a few hundred metres. The second half of the lap is tough as the lead runners start to lap us, but we continue the game. We pass the start-finish area and commence the final lap. It's mentally tough for Matilda to go past the other children that have already finished. However, she pushes on and we continue playing our games. We've now moved onto jumping over things. We find a rock, a stone, a drain cover - all great for jumping over. Then there's a cone - we jump over this. Further along we switch games to 'let's hi-five the marshals' - we get one, then we get another - it's Ola the event director who is marshalling. He encourages us one last time as we now jump over the tufts of long grass in the second half of this final lap. As we approach the final straight I am ordered by Matilda to peel off and meet her on the other side of the finish line (no adults allowed in the finish funnel!). She passes through and is given her finish token. The results are published later that day. It's not her fastest time over the course, but then Matilda doesn't run her best times when I am with her because we spend too much time faffing around playing. She runs her best times when she's alone or with her mum. 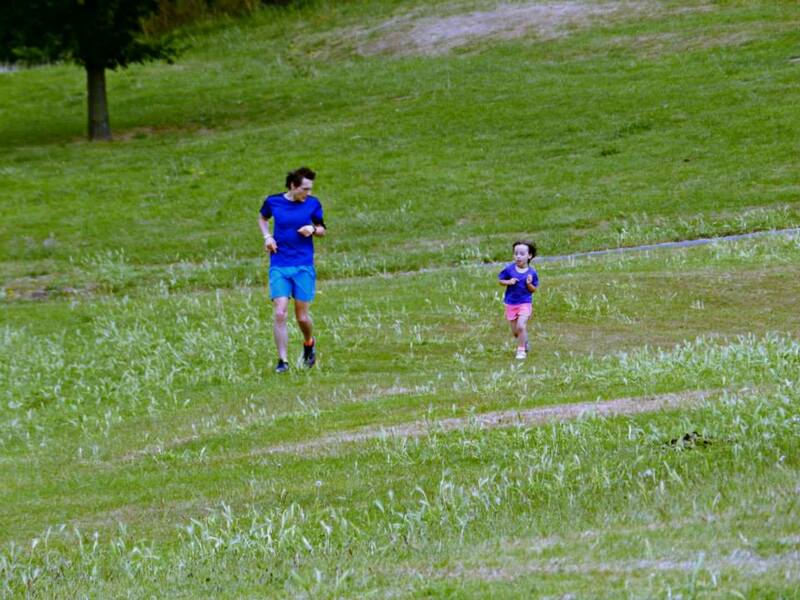 In fact, and I may have mentioned this in other posts, she doesn't really care about her finish times, and I'd like to keep it like that for as long as possible so she can just enjoy the purity of running around the park for no other reason than she wants to.